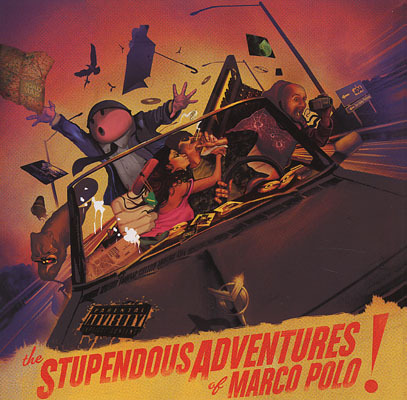 It seems counterintuitive for rising producer Marco Polo to turn The Stupendous Adventures of Marco Polo into a platform for dozens of MCs. But Marco Polo isn’t an instrumental beat maker; he excels at scoring tracks for a wide breadth of underground voices, from backpackers (Red Clay’s “Official”) to street rappers (Torae’s “Combat Drills”). Utilizing a range of sampled sounds, from “The Bridge’s” brassy funk horns to “Think of You Now’s” cool piano tones, Marco Polo compiles plenty of heaters. However, a few cuts (Granddaddy I.U.’s grumpy-sounding “The Veteran”) fall flat. This entry was posted in Reviews, Short Cuts and tagged Duck Down, Marco Polo, Rhapsody. Bookmark the permalink.